Accommodates square and conical truss shapes. 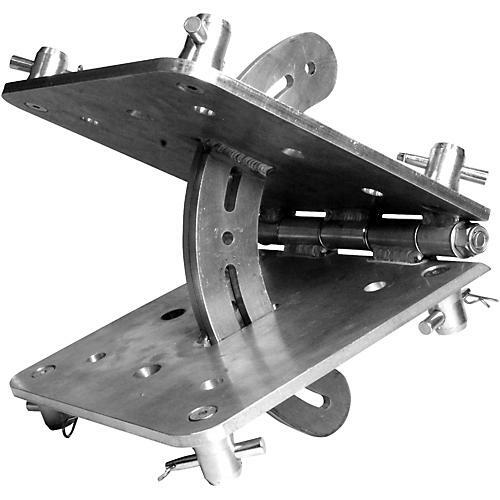 The TRUSST® Versa Hinge is the first hinge that is compatible with square and triangle conical truss as well as industry standard 12” bolt plate truss. Constructed of 10mm thick 6061 T-6 aluminum, the Versa Hinge incorporates a built in arm to set and lock the desired angle between sections of truss. The Versa Hinge’s ability to connect to several types of truss gives it the versatility found in no other product. The robust construction is built to handle years of trouble free use. Increase your versatility. order today.